Is King Lear an autonomous text, or a rewrite of the earlier and anonymous play King Leir? Should we refer to Shakespeare's original quarto when discussing the play, the revised folio text, or the popular composite version, stitched together by Alexander Pope in 1725? What of its stage variations? 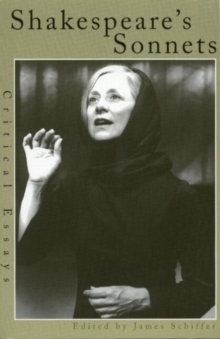 When turning from page to stage, the critical view on King Lear is skewed by the fact that for almost half of the four hundred years the play has been performed, audiences preferred Naham Tate's optimistic adaptation, in which Lear and Cordelia live happily ever after. When discussing King Lear, the question of what comprises `the play' is both complex and fragmentary. These issues of identity and authenticity across time and across mediums are outlined, debated, and considered critically by the contributors to this volume. 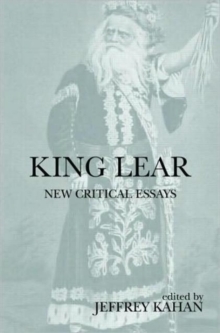 Using a variety of approaches, from postcolonialism and New Historicism to psychoanalysis and gender studies, the leading international contributors to King Lear: New Critical Essays offer major new interpretations on the conception and writing, editing, and cultural productions of King Lear. 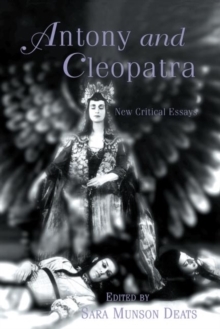 This book is an up-to-date and comprehensive anthology of textual scholarship, performance research, and critical writing on one of Shakespeare's most important and perplexing tragedies. 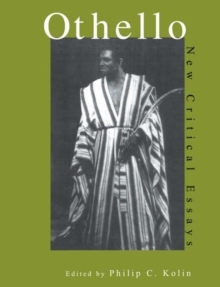 Contributors Include: R.A. Foakes, Richard Knowles, Tom Clayton, Cynthia Clegg, Edward L.